Stillbirth Doula | "Let's walk together for a while"
What is a Stillbirthday Birth and Bereavement Doula (SBD)? Stillbirthday Birth & Bereavement Doulas (SBD) provide support prior to, during and after the birth of your miscarried or stillborn baby. They are qualified to provide support in situations of fatal diagnosis, carrying to term, and NICU care. 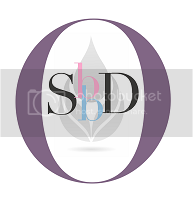 SBD doulas are equally prepared to provide comprehensive support in live birth outcomes, including subsequent “rainbow” pregnancies, and can serve as a labor support in all birth situations. If you ended up on this page you are probably dealing with a lot of different emotions and questions. Sometimes even talking on the phone feels just too much - feel free to start our conversation by email until you are ready to meet or talk via Skype. I am also offering Counselling session either in person or via Skype.